Not in my top ten most wanted listed, but not far off. 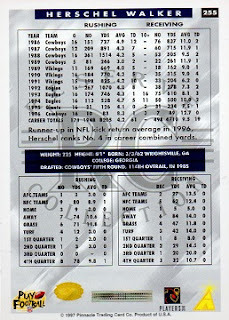 It took a long time for this card to become available to me, and I'm pleased to add it to the Herschel Hoard. 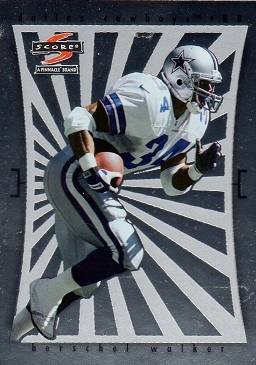 There are 6 cards in the 1997 Score set, which have the same image of Walker on the front. 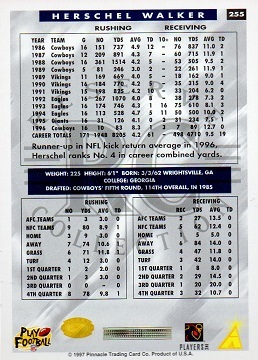 The base card, hobby reserve, artist's proof, showcase, team collection and this card, which is just called reserve. They don't show up too often, and are usually pricey when they do. As I've said previously, any time I can obtain a Walker card from his active playing days, which I don't already have, it's a great find.